The news of a 70-year-old Reno woman dying from a pan-resistant “superbug” has swept through medical and nursing communities in early 2017. Nurses, physicians, epidemiologists, public health officials, and others are scrambling to respond to public concern and make plans for the future. What does this watershed moment mean for the nursing profession in relation to antibiotic resistance? 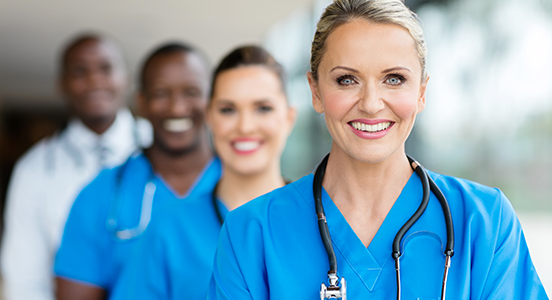 From nurse researchers and educators to nurse practitioners and acute care nurses, being informed and prepared is no longer an option; nurses are the largest contingent within the healthcare workforce, and our voices, hands, and brains are needed. Nursing students and seasoned nurses alike must be brought to the table; after all, information is a powerful seed of understanding and evidence-based action. The woman from Nevada who recently died from a strain of Klebsiella pneumoniae resistant to 26 antibiotics had spent a considerable amount of time in India, a country known for bearing the epidemiological burden of a large share of pan-resistant organisms. Having broken her femur while in India, she was treated in the hospital and rehospitalized a number of time for a bone infection. When she fell ill again back home, it was found that no antibiotic available in the United States could treat her infection; she subsequently died. Apparently, there was a slight potential for susceptibility of the bacteria to fosfomycin, but that drug is not currently approved in this country for that particular infection. One can only imagine what the doctors and nurses were thinking and discussing when the reality became painfully apparent: there was nothing they could do to save the life of this unfortunate patient. The medicines that have kept us all safe from bacterial infection for decades were clearly not up to the task, and there is no doubt that this scenario is bound to repeat itself sooner than later. The likelihood of highly resistant superbugs has been discussed for years, and the CDC has a number of online resources dedicated to the issue. Other cases have indeed surfaced, but this particular case has clearly struck a nerve with the wider medical and scientific communities; the sirens are blaring, and perhaps we’re all now listening. ‘Superbugs’ is a term used to describe strains of bacteria that are resistant to the majority of antibiotics commonly used today. Resistant bacteria that cause pneumonia, urinary tract infections and skin infections are just a few of the dangers we now face. For nurses who work in any clinical environment, being fully educated about antibiotic-resistant bacteria is now crucial. Meanwhile, nurses who work in non-clinical roles are also an important resource for neighbors, colleagues, family members, and friends. Nurses are, of course, looked to as honest, ethical, educated professionals in whom the public places great trust; thus, when news like this breaks upon the shores of American society, nurses will continue to be seen as resources for level-headed, fact-based information. The media may not normally have the habit of reaching out to nurses for commentary about salient health issues, but the public certainly does on an individual basis. The CDC offers a series of web pages dedicated to providing education to healthcare providers regarding antibiotic resistance in healthcare settings . As nurses, our foremost responsibility is to protect our patients from otherwise preventable harm; understanding how to shield them from pan-resistant bacteria should be at the top of the list of nursing priorities. If a facility or employer lacks a plan for the prevention of pan-resistant bacteria, nurses can take responsibility for bringing this crucial public health issue to light. Likewise, a hospital without procedures and protocols for the treatment and isolation of patients infected with such organisms must be brought into alignment with the latest CDC recommendations. Antibiotic resistance is not limited to the inpatient setting; outpatient clinics, ambulatory care centers, and other settings where nurses treat patients all deserve a concerted effort by the nursing community to educate, inform, and protect both patients and staff. 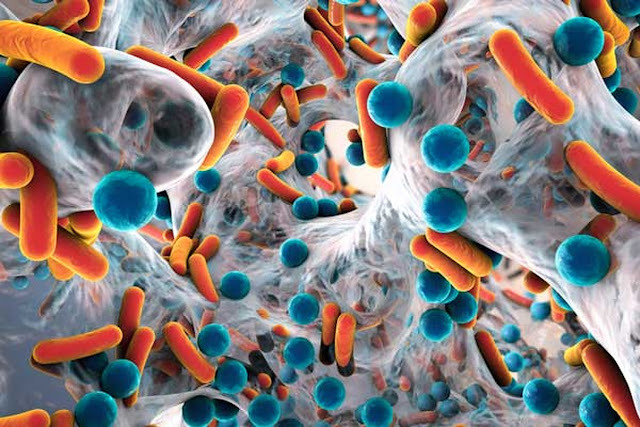 Nursing homes, assisted living centers, home health agencies, and clinics must also be prepared to educate patients and staff, as well as respond to the presence of such bacteria in their environments. For the inpatient setting, the CDC has many recommendations for healthcare providers ; each facility must decide which recommendations are most salient for their particular milieu. When transferring a patient infected with a resistant organism between units or facilities, nurses and other providers must alert the receiving unit or facility regarding the presence of the infection before the transfer takes place. All providers and staff must be aware of what pan-resistant organisms are present in a given facility, and proper training must be in place so that staff can respond accordingly within established procedures and protocols. Confusion and miscommunication can often stem from a lack of procedural uniformity, thus a clear mandate for the handling of such situations is paramount. For nurses who are in the position of directly educating patients, this is an opportunity for delivering the message that patients’ demands for antibiotics for illnesses that are most likely viral (eg: the common cold, the flu, etc.) do indeed contribute to growing bacterial resistance. Rather than simply giving in to patients’ demands, nurses can support doctors and nurse practitioners in ordering confirmatory lab tests in order to identify the presence of a bacterial infection; this can prevent the unnecessary prescribing of antibiotics in cases where they will obviously be ineffective as anything but a placebo for an anxious patient. When nurses speak, change can indeed occur; patients, doctors, nurse practitioners, physician assistants, and others can be influenced positively when a nurse is able to make a strong case for a particular course of action. Nurses who understand the risks of pan-resistant bacteria can act as powerful change agents, educators, and advocates. Organisms resistant to antibiotics are not going away; in fact, their presence will continue to increase over time. Nurses can and must play a role in stemming the tide, preventing more widespread pan-resistance, and advocating for sensible, evidence-based policies that protect healthcare providers and patients from these frighteningly virulent superbugs.